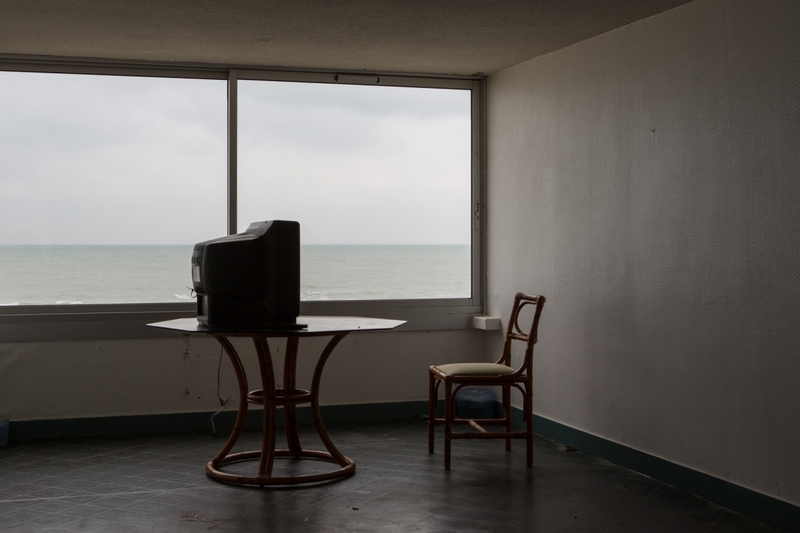 Le Signal, built in 1967 in Soulac-sur-Mer, is under threat from erosion. 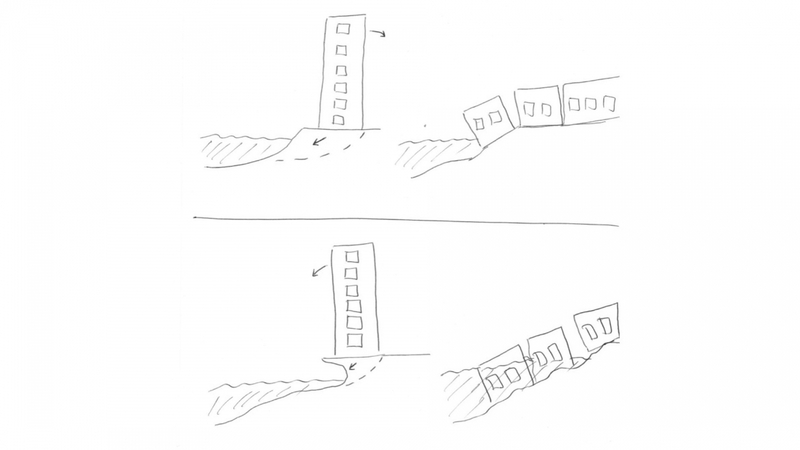 On 8th December 2014, an municipal order obliged all the residents to permanently evacuate their apartments. 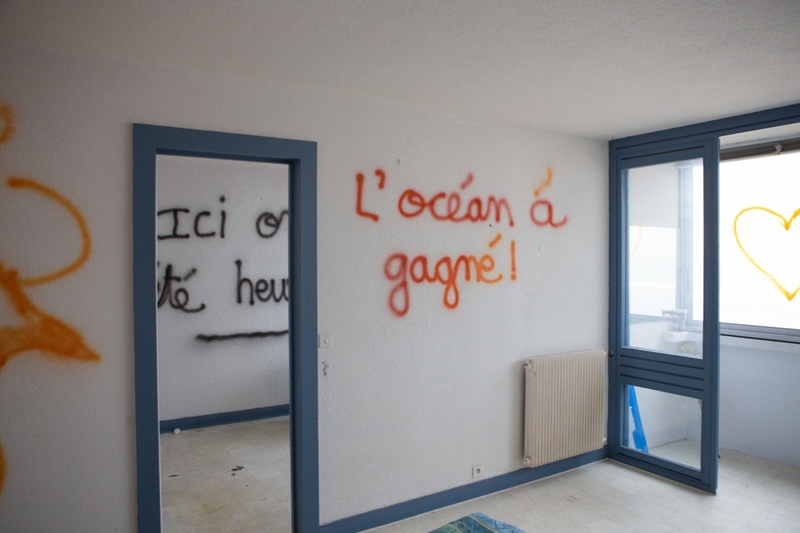 Once abandoned, the building was vandalised. 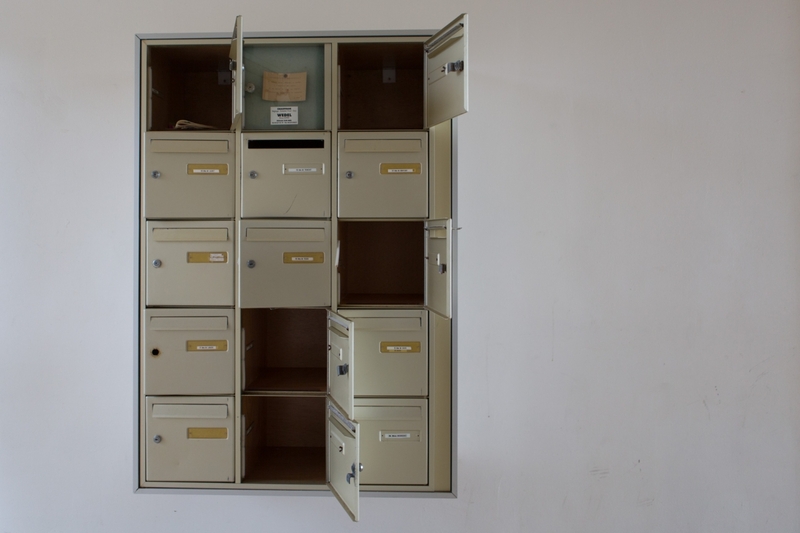 Since December 2014, my work on Le Signal has incorporated several installations, drawing inspiration from successive events, scientific data collected and the building’s progressive deterioration. This project will end with the destruction of Le Signal. 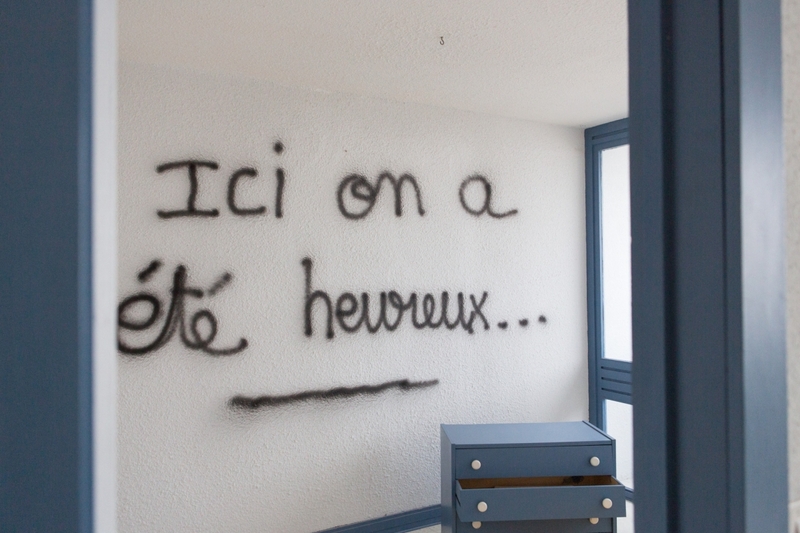 First projection onto Le Signal (side facing the street): a phrase photographed in one of the apartments. 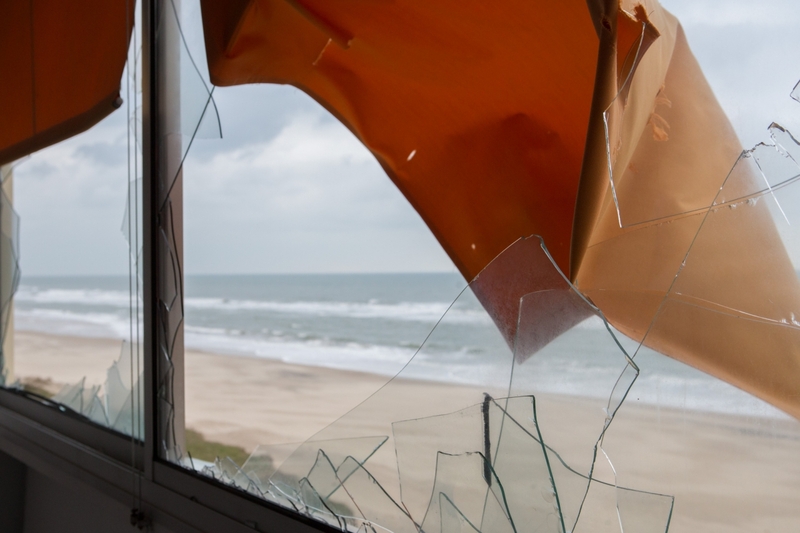 Projection onto the building (side facing the ocean): a curtain blowing in the wind through a broken window in one apartment. Life-size projection of 18 apartment windows in the building. High tide, with the wind whistling through the windows. Audio recorded inside Le Signal. 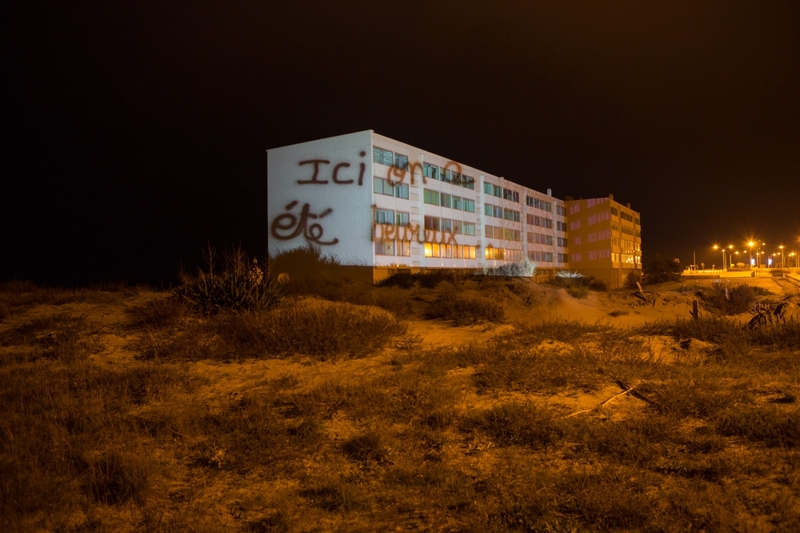 Projection onto Le Signal (side facing the ocean), with the sound of a halyard smacking against a mast. 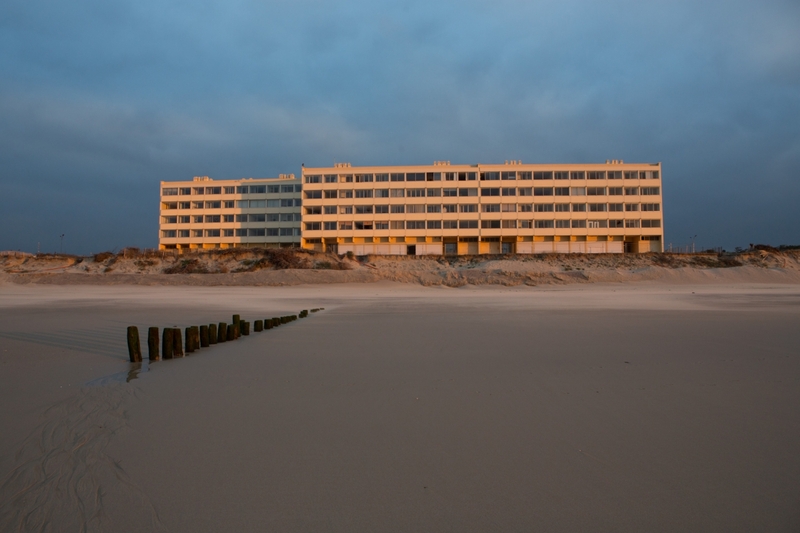 Audio recorded on the seawall at Amélie beach. Installation: table lamp and chair recovered from one of the Signal apartments. 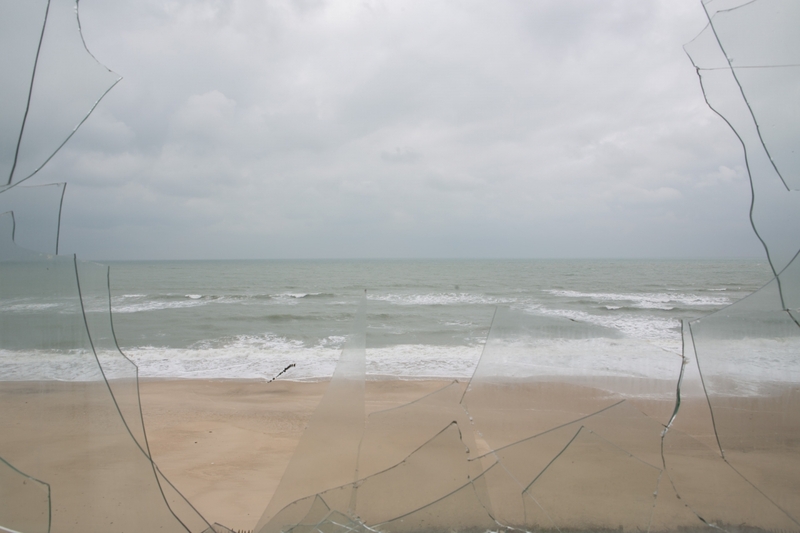 Projection: view of the ocean through the broken window of one of the Signal apartments. 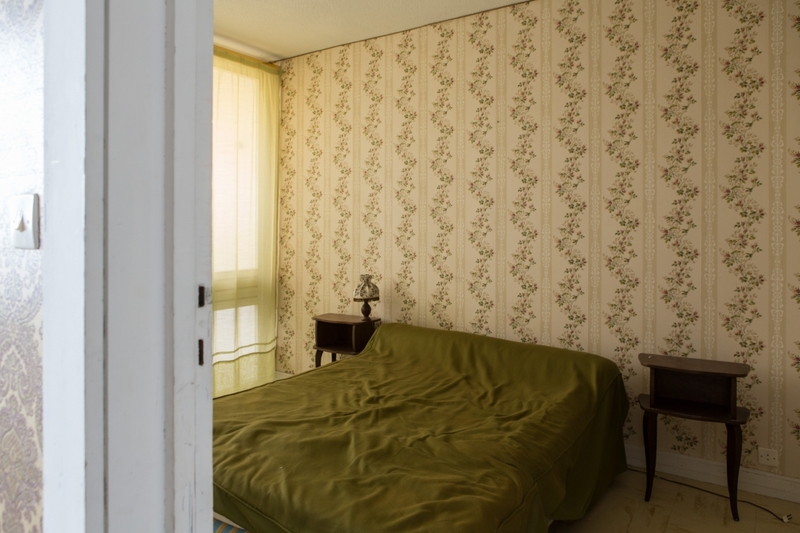 Audio: ‘46 fois l’été‘ (’46 times in summer’), text written, read and recorded by Sophie Poirier. 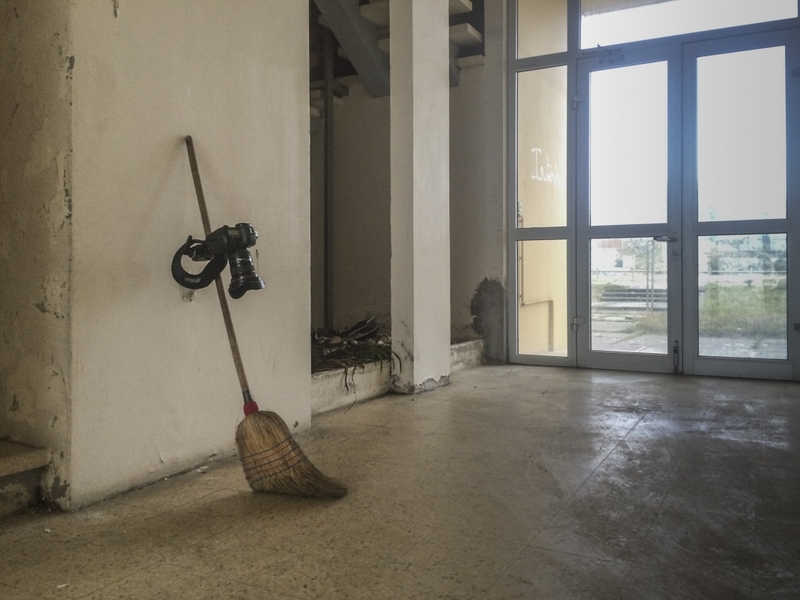 Installation: a broom and a cleaning rota found in the communal areas of Le Signal. Projection: sweeping the stairwells in the abandoned Signal building. 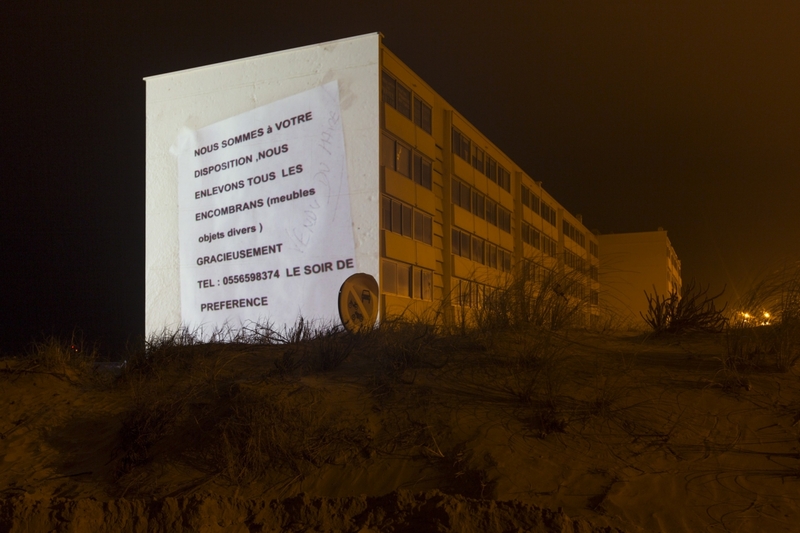 Projection onto Le Signal (side facing the dunes): a flyer found in the lobby of the building. “2015 is an unusual year because we have a series of tides with coefficients close to 120, which is the maximum. says Patrick Santurette, head of Marine and Oceanography at Météo-France, the French national weather service. 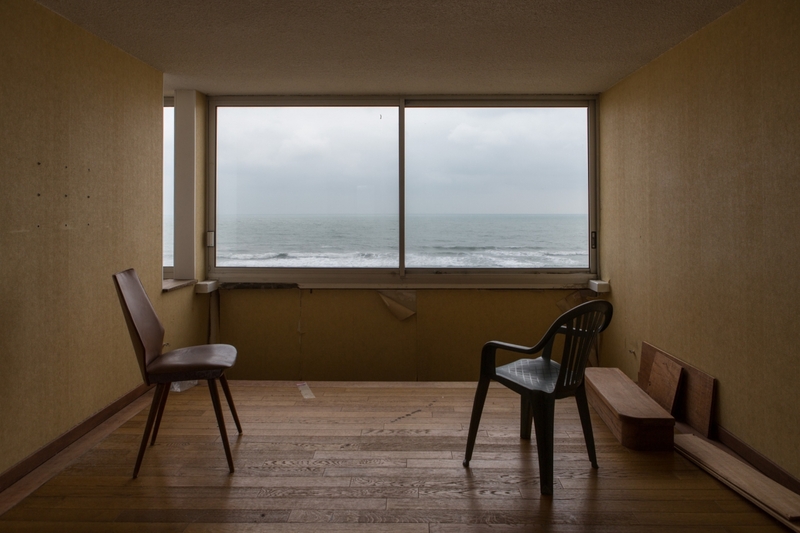 – During the ‘tide of the century’, from 5:15 am until sunrise, onto the ocean-facing side of the building, in Soulac-sur-Mer, on Saturday 21st March. – Soundtrack audio:’46 fois l’été‘ (’46 times in summer’) written by Sophie Poirier. 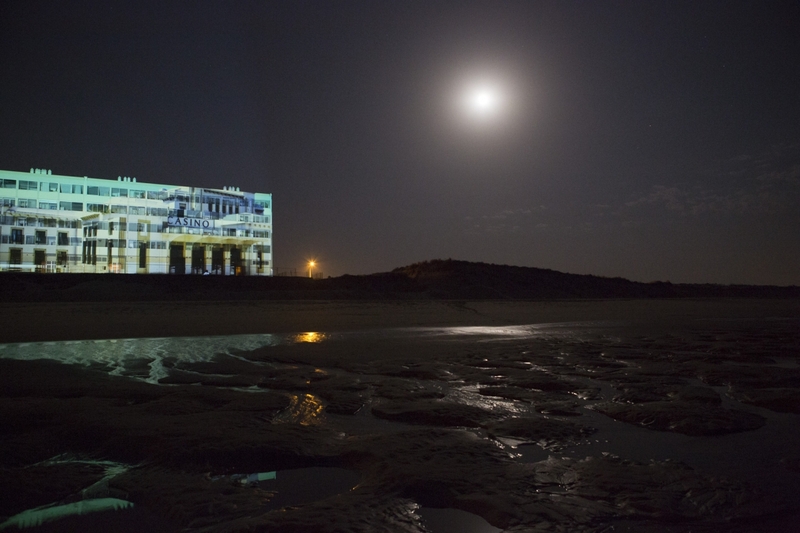 Projection of an image of Biarritz Casino (which is also threatened by coastal erosion). Inspired by the scientific views of Pierre Philippe, Director of Research at IRSTEA (National Research Institute of Science and Technology for Environment and Agriculture) in Aix-en-Provence that specialises in the study of soil erosion on hydraulic structures. 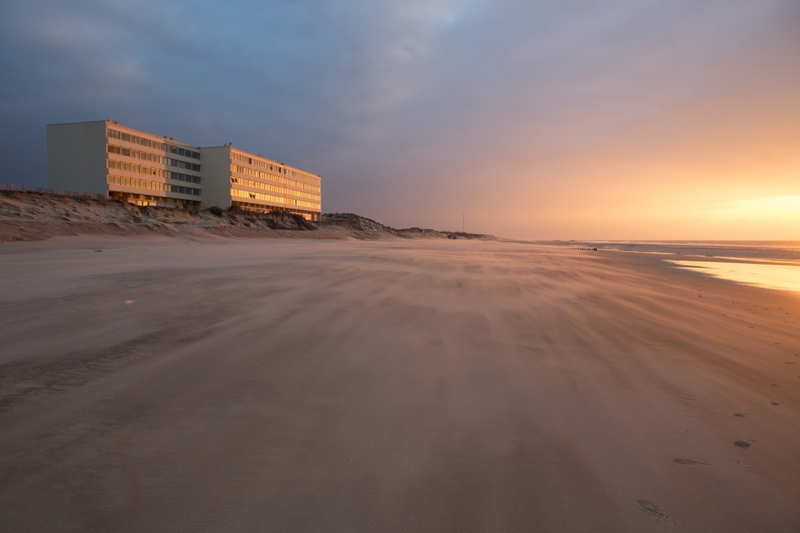 The centre in Aix focuses on natural risks and vulnerable ecosystems. Building a wall of sand in front of Le Signal, to protect it or to make it disappear. Truck found inside the building. Work continues. 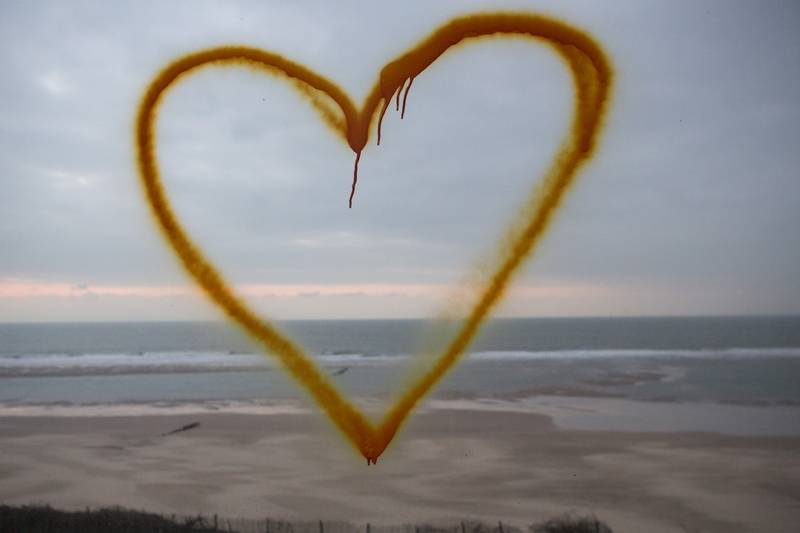 The final installation will deal with the destruction of Le Signal. At this time (February 2018), the progressively vandalised Signal still stands. 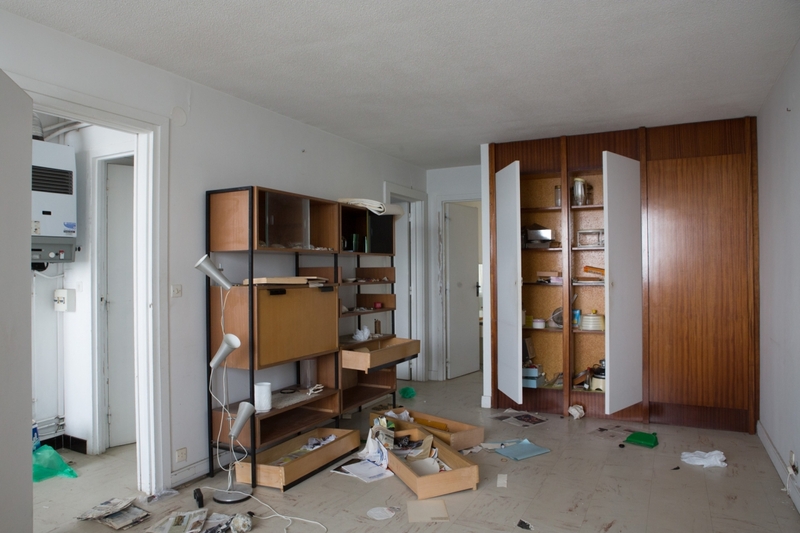 – Destruction by man (due to court rulings).